The following are basic rules governing all contests conducted on 95.3 The Bull (WRTB), and any social media pages. In the event that no other rules are published for a particular contest or promotion, the following rules will apply. In some instances, rules for individual contests and promotions may conflict with these rules in which case, the individual contest rules will take precedence over the basic rules. Only official entry forms may be used to enter the contest. In the case of email contests, you may enter multiple persons using the same email account provided they meet all the other rule requirements. The different names and contact information provided must be clearly provided with each individual entry. Limit of 1 entrant per email sent/received. All blanks must be filled in accurately or entry may be considered ineligible. Entrants should be aware of the potential tax consequences of winning any prize. Awards of prizes valued at $600 or more will be reported to the IRS. By registering, you give 95.3 The BULL the authorization to use your name, photo, voice recording or likeness in promotional materials without further compensation. Employees and immediate family members of Mid-West Family Broadcasting – Rockford Media Group, and participating sponsors are not eligible to participate. The term “immediate family” includes spouses, grandparents, parents, siblings, children and grandchildren of the contestant. The decisions of Mid-West Family Broadcasting management as to the interpretation of these rules are final. By participating, contestants agree to be bound by the decisions of Mid-West Family Broadcasting management in any disputes arising from the participation in or execution of the contest. 95.3 The BULL (WRTB) reserve the right to disqualify any entry not conforming to the rules of the promotion at any time. 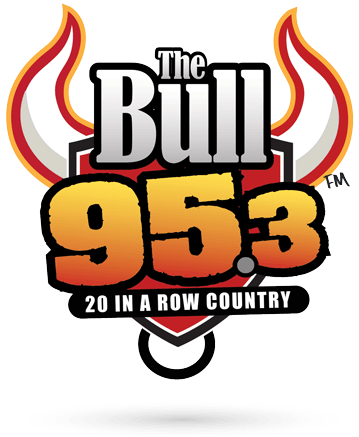 95.3 The BULL and its contest and promotional partners assume no responsibility for entry fraud committed by any entrant. In the event it is determined that an ineligible entrant wins a prize, 95.3 The BULL reserve all rights to the ownership and return of the prize and all costs associated with remedying any prize award to an ineligible entry or entrant. 95.3 The BULL is not responsible for undeliverable, lost, delayed, misdirected or misaddressed email or any other issues regarding the electronic delivery of the contest form. This includes, but is not limited to, the speed at which your email service routes email through the internet. The sole determiner of eligibility for the final drawing will be the time the email is received at our offices. Unless otherwise indicated, prizes must be claimed at the Mid-West Family Broadcasting Rockford studios at 2830 Sandy Hollow Road in Rockford weekdays 9am to 5pm within 30 days of winning. Prizes not claimed within 30 days will not be awarded. Winners must show a photo ID when picking up a prize and may be required to give their social security number for tax purposes. You are eligible to win a contest only once every 30 days. Entries to any 95.3 The BULL contest within 30 days of winning a prize will automatically be void. Failure to comply with any published contest rules is grounds for immediate disqualification from the contest. No purchase necessary to play. Void where prohibited.